Take a look at the qualifications and credentials of our course instructors. Our talented and qualified instructors provide students with the most personal, effective and efficient review courses to maximize performance on the National Physical Therapy Examination. Dr. Reva Rauk is the Director of Clinical Education at the University of Utah, Department of Physical Therapy. She received her PhD degree from University of Minnesota in 2006 and has been a board certified neurologic clinical specialist since 1993. Dr. Rauk has been a physical therapist for over 30 years and has served in several aspects of student clinical education including CI, ACCE, CCCE and DCE roles. She is a Trainer for both the Basic and Advanced APTA Credentialed Clinical Instructor Programs, and serves as Train-the-Trainer program faculty for both courses. Dr. Santasier is an Associate Professor and Chair of the Department of Physical Therapy at the University of Montana. She received her Physical Therapy degree from The University of Delaware, her Masters degree in Allied Health Administration from the City University of NY at Hunter College and her PhD from Temple University in Philadelphia. Dr. Santasier has over 32 years of clinical experience, is an APTA Certified Orthopedist Specialist, and is the present Chairperson for the Qualitative SIG in the Research Section of the APTA. She has presented both locally and nationally, as well as published on issues of education, diversity and qualitative research. Casey Unverzagt is a Clinical Assistant Professor and Director of Admissions for Baylor University’s DPT program in Waco, TX. Dr. Unverzagt received his Bachelor’s of Science from the University of Puget Sound, DPT degree from Slippery Rock University of PA, and his Doctorate of Science in Orthopaedic and Manual Therapy from Andrews University in Michigan. He completed a sports residency in the state of Washington, and is an ABPTS board certified Orthopaedic and Sports Clinical Specialist. Dr. Unverzagt also completed a fellowship in Orthopaedic and Manual Therapy from the Evidence in Motion Institute of Health Professions. His research interests revolve around concussion management and return to sport testing. Dr. Laurie Kontney is a Director of Clinical Education and Clincal Associate Professor at Marquette University. Laurie received her Bachelor of Science degree in physical therapy at the University of Wisconsin - Madison, her Master of Science degree in physical therapy with an emphasis in acute neurological conditions and education at the Finch University of Health Sciences/The Chicago Medical School (now Rosalind Franklin University) and her transitional Doctor of Physical Therapy degree from Simmons College in Boston. Laurie is a Trainer for both the APTA Clinical Instructor Education and Credentialing Program (CIECP) and the Advanced CIECP. Laurie has presented continuing education courses across the country in the areas of ethics and jurisprudence, clinical decision making, facilitating clinical education, mentoring and professional behavior development and assessment. She continues to work in the clinic in the areas of adult inpatient acute care, inpatient rehabilitation and sub-acute care. Dr. Heath is an Assistant Professor and the Chair of the Department of Physical Therapy at Simmons College. She received her BS in Health Studies and DPT from Simmons College in Boston, MA. Dr. Heath is credentialed by the American Physical Therapy Association as an Advanced Clinical Instructor. She is also certified by the American Board of Physical Therapy Specialties as an Orthopedic Certified Specialist and is an APTA Education Leadership Institute Fellow. Her areas of teaching include basic clinical examination and intervention skills, teaching and learning, and laboratory components of the musculoskeletal sequence. Dr. Heath earned her PhD in Education Psychology from Temple University. Her areas of research include adult, professional education, and self-regulated learning. Dr. Corcoran received her Masters in Physical Therapy and Doctor of Physical Therapy from Northeastern University in Boston, Massachusetts. As a staff therapist and APTA credentialed clinical instructor, Gretchen has ten years of experience in several inpatient settings including subacute rehabilitation, extended care, and acute care. Through her clinical experience at Beth Israel Deaconess Medical Center in Boston, Gretchen worked with multiple patient populations including patients on the neurology, trauma, cardiac and pulmonary surgery, cardiac medicine, vascular and intensive care units. Gretchen has also worked in the Chicago Public School System as a city-wide, school-based physical therapist working with a wide range of students from early childhood instructional programs to high school students. Currently, Gretchen is a clinical instructor at the University of Illinois at Chicago. In addition to teaching, she continues to work in the acute care and subacute settings at Presence Health Our Lady of the Resurrection Medical Center in Chicago, Illinois and NorthShore University Health System Evanston Hospital in Evanston, Illinois. Dr. Varnado is an Associate Professor and the Program Director in the Department of Physical Therapy at the College of Saint Mary in Omaha, NE. She received a Bachelor of Science degree from Tennessee State University and a Doctor of Physical Therapy degree from Indiana University. Dr. Varnado completed orthopedic residency and manual orthopedic physical therapy fellowship training at Kaiser Permanente in West Los Angeles, CA. She is also a board certified Orthopedic Clinical Specialist and a fellow of the American Academy of Orthopedic Manual Physical Therapists. Dr. Varnado is currently a fellow-in-training with the APTA Education Leadership Institute. Her areas of teaching include clinical problem solving, musculoskeletal rehabilitation, and physical therapy examination. Dr. Varnado earned her Doctorate in Health Sciences degree with Education concentration from A.T. Still University. Her areas of research include physical therapy faculty job satisfaction and upper quarter musculoskeletal assessment. Dr. Ennis is Associate Professor and Associate Chair of the DPT program at Bellarmine University in Louisville, Kentucky. Her content expertise includes Pediatrics, Neurology, Aquatics, Professional and Legal Issues, Assistive Technology, Educational Technology, and Education. Dr. Ennis also co-owns a private practice and facilitates one of eight pro-bono clinics run by the DPT program, focusing on pediatrics and assistive technology. She is the incoming Kentucky Physical Therapy Association President in 2018 and is involved in policy issues related to professional practice, Medicaid, reimbursement and licensure. Dr. Nelson Marquez has served as the Vice President for Institutional Effectiveness and Research at Webber International University since 2015. In his role, he is responsible for collecting and monitoring institutional data, and using the data to effect improvements, strategic planning, and ensuring institutional and programmatic accreditation compliance. Prior to joining Webber, he was a Program Director and Professor in the Physical Therapist Assistant (PTA) program at Polk State College in Winter Haven, Florida. He received his Masters and Doctoral degrees in Education from Nova Southeastern University. Prior to becoming the Director of the PTA program at Polk State in 2003, he served as the program's Academic Coordinator for Clinical Education and also served as the college's Academic Fieldwork Coordinator for the Occupational Therapy Assistant (OTA) program since the OTA program's inception in 1998. In addition to his program director responsibilities, he taught content related to the management of neuromuscular pathology and basic foundational sciences (Anatomy and Kinesiology). Dr. Marquez has presented numerous workshops and research at the national and international levels on topics related to clinical education, neurology, and professionalism in the allied health field. He is trained in Neurodevelopmental Treatment (NDT) and is a Credentialed Trainer for the APTA Clinical Instructor Education and Credentialing Program. Ms. Hould is the former Department Chair/Program Director for the Physical Therapist Assistant Program at Hesser College in Manchester, NH. She received her Bachelors of Science in Physical Therapy from Northeastern University and her Masters of Education from Cambridge College. Ms. Hould had been a member of the Hesser College PTA Faculty for over 11 years and in that time taught human kinesiology, therapeutic exercise, and applied neurology. She also served as the Academic Coordinator of Clinical Education as well as Associate Director. She is an APTA Credentialed Clinical Instructor and served as a Center Coordinator of Clinical Education for two years at an outpatient physical therapy practice. Ms. Hould has served as an item writer for the Federation of State Massage Therapy Boards (FSMTB) and for Scorebuilders' Online Advantage. 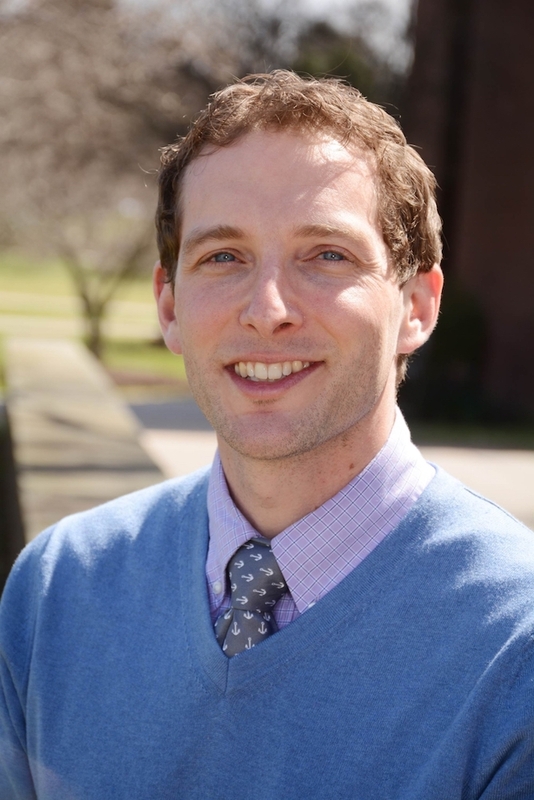 Dr. Fox is an Associate Director of Clinical Education at the University of Massachusetts Lowell (UML). She received her Bachelors of Arts in Biological Sciences from Cornell University and her Masters of Physical Therapy and transitional DPT from UML. She has worked in PT for the last 18 years in a variety of settings including occupational health, sports physical therapy, outpatient orthopedics, and home care. In addition to her duties related to clinical education at UML, Dr. Fox teaches the PT interventions and Musculoskeletal labs as well as several courses in the undergraduate exercise physiology program. Previously, she was a member of the faculty at Hesser College's Physical Therapist Assistant program for 8 years. During her tenure at Hesser, Dr. Fox taught in a wide variety of courses and served for a one year period as the interim program director. Dr. Fox is a certified Strength and Conditioning Specialist. She is a member of the APTA's Education and Orthopedic Sections as well as a member of the National Strength and Conditioning Association. Dr. Higgins is an Assistant Professor in the Department of Movement Science at Westfield State University (WSU), where he serves as the Program Director and Clinical Education Coordinator of Athletic Training. He earned his Master of Physical Therapy degree from American International College in 1999 and Transitional DPT degree from Simmons College in 2006. Dr. Higgins has been teaching in higher education since 2003 and continues to teach Therapeutic Modalities, Therapeutic Exercise, and Functional Anatomy at WSU. He was co-owner of an outpatient physical therapy practice from 2005-2015. Paul continues to practice per diem in outpatient practice while teaching as an adjunct professor for Naugatuck Valley Community College Physical Therapist Assistant Program and Bay Path University's Physician Assistant Program. His research interests include physical agents and athletic performance. Sonya Irons, PT, DPT, CCS is a research and inpatient physical therapist at Madonna Rehabilitation Hospital in Lincoln, Nebraska. She completed her Bachelor of Science degree from South Dakota State University (SDSU), Master of Physical Therapy degree from Mayo School of Health Sciences, and transitional Doctor of Physical Therapy from Temple University. Dr. Irons has her ABPTS board certification in cardiopulmonary physical therapy (CCS) and has published multiple peer-reviewed journal articles. She has past experience in writing exam questions as an item writer for the Specialization Academy of Content Experts. She holds two faculty appointments, including Clinical Assistant Professor at Creighton University and Adjunct Faculty at University of South Dakota (USD). She was awarded the 2009 Distinguished Young Alumna Award from SDSU for dedication to her profession, 2012 APTA Emerging Leader Award, 2012 Harry E. Settles Contributor of the Year Award from USD for teaching, and a 2013 Madonna Angel Award for patient care. Dr. Fjosne is a full time outpatient orthopedic and sports medicine physical therapist where he is the Lead Physical Therapist at Mayo Clinic Sports Medicine Center in Minneapolis, MN. He received his Bachelor of Science degree in Health and Human Performance at the University of Montana, Master of Physical Therapy at Mayo School of Health Sciences, and Doctor of Physical Therapy at Marymount University. He has worked in the capacity of lead physical therapist as well as clinic manager during his career. Chris is a Board Certified Orthopaedic Clinical Specialist (OCS) and Sports Clinical Specialist (SCS) and works regularly with PT students as an APTA Credentialed Clinical Instructor. Chris lives in Maple Grove with his wife, Mindy, and children, Jonah and Lena. They enjoy staying active and exploring the outdoors. Mr. Douglas received his Masters in Physical Therapy and Bachelors in Health Science from Springfield College. He has 18 years of outpatient orthopedic experience with an emphasis on sports medicine. Mr. Douglas has experience as an administrator in several outpatient orthopedic physical therapy clinics. Mr. Douglas currently is employed as the Director of Riverview Physical Therapy in Yarmouth, Maine. Mrs. Wacksman received her B.S. in Clinical Science and her Masters Degree in Physical Therapy from Ithaca College in New York. She has over eight years of clinical experience in outpatient orthopedic and sports medicine settings across the country. She currently works as a physical therapist and certified therapeutic yoga instructor at Jade Integrated Health in Portland, Maine. She has participated in biomechanical and orthopedic research at the University of Rochester, served as a clinical instructor, and has taken many continuing education courses ranging from manual therapy and manipulation to orthopedic and sports medicine. Mr. Redmond received his Masters in Physical Therapy degree from the University of New England. He is an American Physical Therapy Association Credentialed Clinical Instructor. Mr. Redmond is currently the Director of Physical Therapy for Saco Bay Orthopaedic Physical Therapy and Medically Oriented Gym in South Portland, Maine. He has taken many continuing education courses regarding the Norwegian Approach to evaluation and treatment of the spine and extremities. Mr. Smith received his B.S. in Physical Therapy in 1997 from the University of New England. Since then his clinical experience has been focused around orthopedic and sports physical therapy in outpatient, traveling, and industrial rehab settings. He has extensive continuing education in orthopedic and manual therapy as well as completion of courses in the Norwegian Approach to evaluation and treatment of the spine and extremities. Mr. Smith is currently the Operations Manager of ProCare Physical Therapy and Hand Center in Portsmouth, New Hampshire. He is an active member of the American Physical Therapy Association, and an APTA Credentialed Clinical Instructor. Dr. Johnson is a Program Director and Assistant Professor in the Physical Therapist Assistant program at Albany State University in Albany, Georgia. She has worked in the field of physical therapy for over 23 years with the first seven as a physical therapist assistant. She went on to receive her Masters in Physical Therapy from the Medical College of Georgia and her Transitional Doctor of Physical Therapy from Temple University. In addition to her program director responsibilities, she teaches content related to the management of orthopedic/musculoskeletal pathology and basic foundational sciences. Dr. Johnson is a member of the Georgia Consortium of Physical Therapy Educators. She is an active member of the APTA, as well as a District Director for her state APTA chapter. She has also served as an item writer for the Federation of State Boards of Physical Therapy. Sarah Brinson is an Associate Professor and Program Director for the Albany State University Physical Therapist Assistant Program in Albany, GA. She received her Associates of Science degree in Physical Therapist Assistant from Darton College in 1997 and has worked in various areas of Physical Therapy including acute, outpatient, pediatrics and wound care over the past 20 years. She received her Bachelor’s degree in Education in 2007 and her Master’s degree in Adult and Career Education in 2009, both from Valdosta State University followed by her Doctorate degree in Higher Education from Columbus State University in 2017. In addition to her duties related to education, she teaches content related to patient care skills, amputations, wound care, cardiopulmonary, and physical therapy ethics. Dr. Brinson is a member of the Georgia Coalition of Physical Therapy Educators. She is an active member of the American Physical Therapy Association, as well as an APTA Credentialed Clinical Instructor. Ms. Brown is an occupational therapist and physical therapist assistant specializing in lymphedema therapy and upper extremity rehabilitation for Rivertown Lymphedema Clinic and Rehab in Myrtle Beach, SC. She is also an adjunct instructor for the Physical Therapist Assistant Program at New River Community and Technical College in Beckley, WV. She received her Associate of Science degree in Physical Therapist Assistant from The College of West Virginia, Bachelor of Science degree in Athletic Training from the University of Charleston, and Master of Science in Occupational Therapy from West Virginia University. Ms. Brown has been involved in physical therapist assistant education for 13 years, serving as an instructor, director of clinical education and program director. She is a member of the American Physical Therapy Association, the APTA's Education and Orthopedics sections, an APTA Credentialed Clinical Instructor, and a past member of the West Virginia Board of Physical Therapy. Amy graduated from Salt Lake Community College in 1998. She has over 15 years of clinical experience working as a physical therapist assistant. Amy currently works at the University of Utah, Department of Physical Therapy faculty clinic, specializing in neurological physical therapy. Amy also manages a wellness group for people with Parkinson’s disease, which serves over 70 participants. Amy is a certified lymphedema therapist and certified wellness coach. Amy is also a certified clinical instructor and a Credentialed Trainer for the APTA Clinical Instructor Education and Credentialing Program. Amy was a member of the Program Advisory Committee (PAC) for Salt Lake City Community College from 2007 to 2009 and the acting PAC Chair from 2009 through 2010. Amy has been actively involved in the APTA at a national and state level. She was the PTA Representative for Utah from 2007 to 2010 and currently serves as the Membership Chair. Michelle Bulanda, PT, DPT, DSc, PCS is Clinical Professor in the College of Applied Health Sciences at the University of Illinois Chicago (UIC). Dr. Bulanda received her entry level Physical Therapy degree from Northwestern University in 1989 and a transition Doctor of Physical Therapy Degree from the MGH Institute of Health Professions in 2006. Dr. Bulanda’s clinical work has been in pediatric rehabilitation and Early Intervention since 1991. Dr. Bulanda received her DSc in Rehabilitation Science from the University of Oklahoma Health Science Center in 2014. From 1998-2016, Dr. Bulanda was a faculty member in the Department of Physical Therapy at UIC with primary teaching, service, and research in pediatric physical therapy with an emphasis on early intervention. Dr. Bulanda has received funding to train occupational and physical therapy students to work with young children with delays/disabilities and their families through the US Department of Education. Currently, Dr. Bulanda is the Director of Undergraduate Studies in Rehabilitation Science at UIC. Dr. Flach received her Doctorate of Physical Therapy from University of South Carolina in Columbia, SC. As a Board Certified Neurologic Specialist and APTA Credentialed Clinical Instructor, she gained experience as a staff physical therapist in acute care, extended care, inpatient rehabilitation, and outpatient rehabilitation serving many patient populations. During her time at the Rehabilitation Institute of Chicago, she worked with specialty populations that had neurologic conditions, vestibular disorders, pulmonary conditions, and individuals following amputation. Dr. Alicia Flach is a Clinical Assistant Professor within the Physical Therapy Program at the University of South Carolina. Mrs. Kinsey has over 20 years of outpatient orthopedic experience with an emphasis on sports medicine. She is currently working as a physical therapist and athletic trainer for the Cleveland Clinic Foundation in Avon, Ohio. She is recognized as one of their Clinical Specialists in Sports and Orthopedics and lectures locally and nationally for the Cleveland Clinic on various topics including Functional Rehabilitation, Muscle Energy Techniques, and Shoulder Rehabilitation. Kelly was Cleveland Clinic's Health Science Educator of the Year in 2014 for her commitment to student education. She is an APTA Credentialed Clinical Instructor and established an Internal Continuing Education Committee for Sports Health. Kelly received a BS in Athletic Training and a BS in Exercise Science from Miami University. Later, she received her MS in Physical Therapy from The Krannert Graduate School of Physical Therapy at the University of Indianapolis. Elizabeth Gmitter graduated from the University of Virginia in 1998 with a BS in Education with a concentration in sports medicine and her MS in physical therapy from Virginia Commonwealth University in 2001. Elizabeth is currently pursing her PhD at the University of Illinois at Chicago in Curriculum Studies with a Health Professions Education emphasis. She anticipates completion in 2018. Elizabeth has extensive experience working with complex patients with multi-system conditions, geriatrics, and orthopedics. Working in a variety of settings throughout the country, from rural to urban, with patients of varying socioeconomic levels and cultural backgrounds, allows Elizabeth to bring a wealth of clinical insights to future physical therapists and physical therapists assistants. During her time living in New Mexico, Elizabeth created service-learning opportunities in conjunction with local cancer support groups, supervising physical therapy students as they designed and implemented programs to serve their local communities. Elizabeth has been involved specifically in PTA education full time since 2013. Currently, Elizabeth is the program director/faculty for a developing a PTA program for Malcolm X College in Chicago, IL. Her current and past teaching responsibilities have included content related to functional anatomy and kinesiology and musculoskeletal, cardiopulmonary, integumentary, and multi-system conditions and interventions. Her other educational roles have included serving as a volunteer clinical facilitator in the Department of Physical Therapy at the University of Illinois at Chicago. She also has experience as a research assistant on a NIH funded grant investigating the effects of trans-cranial electrical stimulation on lower limb function post CVA. Elizabeth is a member of the APTA’s Education Section. Dr. Burns is an Assistant Professor and the Assistant Chair of the Department of Physical Therapy at Temple University. He received his BA in Kinesiology from University of Colorado-Boulder and Master’s and transitional DPT from University of Colorado-Denver. Dr. Burns is credentialed by the American Physical Therapy Association as a Credentialed Clinical Instructor. He is also certified by the American Board of Physical Therapy Specialties as an Orthopedic Certified Specialist and is a Fellow of the American Academy of Orthopaedic Manual Physical Therapists (AAOMPT). His areas of teaching include basic clinical examination and intervention skills, pain management and the musculoskeletal course sequence. Additionally, he teaches with an Orthopaedic Residency Program. He maintains an active clinical practice in outpatient orthopaedics where he treats a variety of diagnoses and mentors DPT students, residents, and fellows. His research interests include manual therapy and musculoskeletal interventions aimed at improving patient outcomes. Dr. Frey has over 30 years of experience treating neurological, geriatric, and orthopedic patients in a wide variety of clinical settings. She received her BS in Physical Therapy from the University of Delaware, her Certificate on Aging from Johns Hopkins University and her Doctor of Physical Therapy from Shenandoah University. Dr. Frey has served as Clinical Coordinator and Faculty at the community college level teaching courses in orthopedics, neurology, pathology, professional issues, and fundamentals of clinical practice. In 2018 she was awarded the John and Suanne Roueche Excellence Award which recognizes outstanding faculty in higher education nationwide. She has presented in local and state conferences on innovative teaching strategies and Web-Based Information Literacy. Dr. Frey is an APTA Credentialed Clinical Instructor, a member of the Academy of Physical Therapy Education, an active member of the APTA of Maryland, and an Instructor for the CACHE Physical Therapist Assistant program at Anne Arundel Community College. Dr. Garavito received his doctor of physical therapy degree from Midwestern University in Glendale, Arizona. He is employed by Duke University Medical Center where he works in an acute inpatient setting emphasizing the care of patients with cardiovascular and pulmonary systems involvement. He is a Credentialed Clinical Instructor through the APTA Clinical Instructor Education and Credentialing Program. Dr. Garavito holds an adjunct faculty appointment with Concordia University in St. Paul, Minnesota where he teaches exercise physiology and biomechanics to both undergraduate and masters students online. Additionally, he assists the Duke University Doctor of Physical Therapy Program with labs and simulations. His present research focus is related to the cardiovascular and pulmonary systems. Dr. Brown is the Associate Dean of Academics for the School of Physical Therapy at Arkansas Colleges of Health Science. She received her Bachelors of Science and Doctor of Physical Therapy from Simmons College in Boston, MA. Dr. Brown is credentialed by the American Physical Therapy Association as an Advanced Clinical Instructor and a trainer for the Clinical Instructor Credentialing Program. She is also a certified by the American Board of Physical Therapy Specialties as an Orthopedic Certified Specialist and is a graduate of the APTA’s Education Leadership Institute Fellowship. Her areas of teaching include human anatomy, components of the musculoskeletal sequence, and interprofessional education. 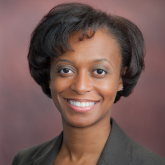 Dr. Brown earned her PhD in Health Professions Education from Simmons College. Her areas of research include instructional methods and assessment practices in human anatomy and predictors of success in clinical education and the DPT curriculum. Dr. Meghan Rohde is an Assistant Professor and Academic Coordinator for Clinical Education at Franklin Pierce University in Phoenix, Arizona. She received her Bachelors of Science in Health and Sport Science from the University of Oklahoma, and Master of Physical Therapy from the University of Oklahoma Health Sciences Center. She received a transitional Doctor of Physical Therapy from the University of Montana-Missoula. Dr. Rohde is a credentialed Clinical Instructor through the American Physical Therapy Association and is also certified by the American Board of Physical Therapy Specialties as a Sports Clinical Specialist. She is also a Certified Strength and Conditioning Specialist through the National Strength and Conditioning Association and a USA Weightlifting Sports Performance Coach. Dr. Rohde’s areas of teaching include sports physical therapy, orthopedics, and musculoskeletal dysfunction, as well as clinical education management. She is currently pursuing a Doctor of Science in Human and Sports Performance, and her research interests include strength and conditioning for the tactical athlete. Mr. Dandy received his Bachelors of Science degree in Physical Education and his Certificate in Physical Therapy from University of Medicine and Dentistry of New Jersey. He received a Masters of Science degree and Transitional Doctor of Physical Therapy degree from Temple University. Mr. Dandy has worked in a wide variety of clinical settings from Clinician to Rehab Director as well as serving as an APTA Certified Clinical Instructor. For over 10 years, he has worked for Penn State University as an adjunct instructor and guest lecturer in the Physical Therapist Assistant program at Mont Alto where he is currently a full time instructor and the Academic Coordinator of Clinical Education. In addition to completing numerous continuing education courses and remaining active clinically, Mr. Dandy has been very active in providing community education with a primary focus on Fall Prevention Education and Interventions. Ms. Daniel received her B.S. degree in Physical Therapy from Georgia State University in 1984 and her post-professional Masters with an emphasis on Orthopedic Manual Therapy from the University of St. Augustine in 1998. She has over 25 years of clinical experience that includes acute care, orthopedic outpatient, occupational health and prevention, pain management, clinical research, home care, as well as practicing in the NHS in Glasgow, Scotland. Ms. Daniel is the former lead instructor for the Physical Therapist Assistant Program at Carrington College in Mesa, AZ. She was a member of the Carrington College faculty for 7 years (2010-2017) and in that time taught content related to the management of orthopedic conditions, kinesiology, patient care skills, data collection, physical agents, cardiopulmonary, integumentary, orthotics and prosthetics, as well as ethics and legal issues. Additionally, she received recognition for “Teaching Excellence” and served as a mentor in the Master Instruction program. Ms. Daniel has been a member of the APTA since 1982 and has served as an item writer for the Federation of State Boards of Physical Therapy. Dr. Tomkie is the former Physical Therapist Assistant Program Director for Pima Medical Institute, Albuquerque Campus. She has over eighteen years experience in PTA education including nine years as an instructor, seven years as a program director, and two years as a consultant to PTA programs. She has taught Anatomy and Physiology, Gross Anatomy Lab, Neuroanatomy, Kinesiology, Therapeutic Exercise, Pathophysiology, and Administrative Procedures in two PTA programs and is an APTA Credentialed Instructor. Dr. Tomkie has been a CAPTE on-site accreditation visitor for the past five years. As a clinician, Dr. Tomkie worked in a diverse group of environments including a major medical center, small community hospital, outpatient clinic, and workers’ compensation. Dr. Tomkie received her Bachelors of Science in Physical Therapy and her transitional Doctor of Physical Therapy from The University of Michigan. She currently lives in New Mexico where she has served as President of the New Mexico Chapter of the APTA leading the lobbying efforts to secure direct access to physical therapy services. Dr. Lee is an Assistant Professor of Rehabilitation Sciences at the University of Hartford in Connecticut, which involves instruction to both the Physical Therapy and Prosthetics & Orthotics programs. He earned his Doctorate of Physical Therapy from SUNY Stony Brook and is currently pursuing his Ph.D. in Physical Therapy from Nova Southeastern University. Dr. Lee is a Board Certified Geriatric Specialist (GCS) and has extensive experience working with individuals with limb loss, orthopedics, and geriatric conditions. Dr. Lee has presented regionally, nationally, and internationally on the rehabilitation of adults with limb loss in including the International Society of Prosthetics & Orthotics World Congress and the American Physical Therapy Association’s Combined Sections Meeting. He is also published in Prosthetics & Orthotics International, Disability & Rehabilitation, and the Journal of Prosthetics & Orthotics. He is currently a member of the American Physical Therapy Association, American Orthotics & Prosthetics Association, and the Amputee Coalition of America.